Torre Ipanema overlooks the Mediterranean Sea, just a 5-minute walk away, near the centre of the lively Spanish resort of Benidorm. Apartments come with everything you might need for independent accommodation on the Costa Blanca, including its own kitchen and balcony. During the summer you can take a dip in the sunshine at the property’s outdoor swimming pool, or simply relax beside it on the sun terrace. 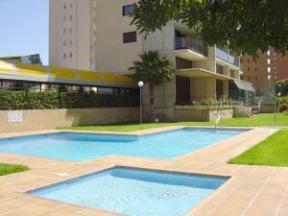 Children enjoy their own swimming pool, and there is also an indoor pool for the winter months. Active guests can also enjoy a game of tennis on the property’s court (surcharge).